The TapSnap Franchise Advisory Council (FAC) is one of the many structures set in place to help guide conversations between franchisees and TapSnap. Each term, a group of talented business owners is nominated and voted by fellow franchisees. 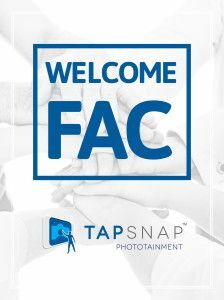 The FAC is a valuable asset that helps set TapSnap apart as an engaged and innovative franchise network. Joining this term’s FAC, TapSnap is proud to announce the six members who have been elected to represent the franchise system. In fact, turnout during this year’s election was so impressive that for the first time ever, five of the six franchisees were elected by franchisees. TapSnap appointed one member. Kim Deimling, Ben Bender, Mark Weintraub, Andi Grupa, Milton Guerrero, and Raymond Lousia are already in full speed ahead, ready to represent TapSnap’s franchise network. The FAC is made up of a diverse group of franchisees from a range of markets within the United States, including Utah, Pennsylvania, Michigan, North Carolina and Missouri. This group of individuals is a true reflection of TapSnap’s business owners, all of whom come from a host of backgrounds and expertise. TapSnap strives to be an advocate for franchisees in order to provide the tools needed for success in their markets. The franchise system is eager to begin working with this year’s FAC members.